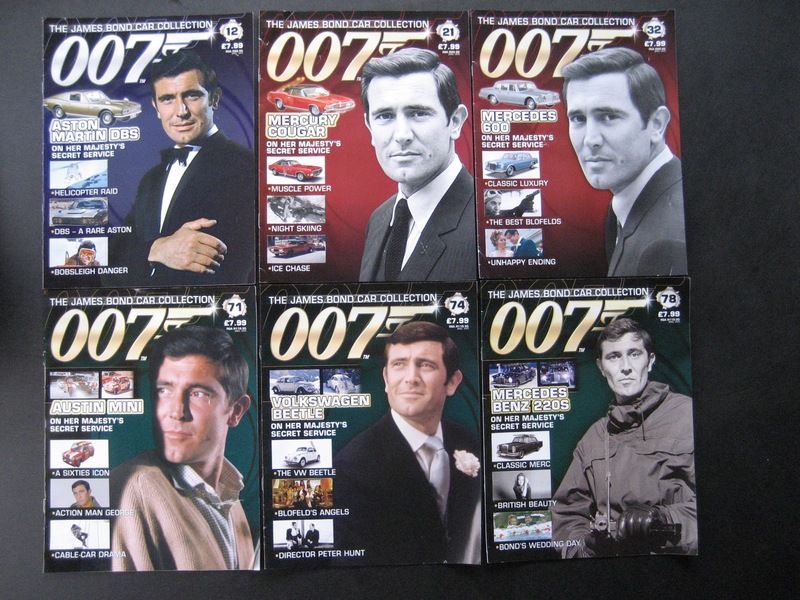 6 of the cars featured in On Her Majesty's Secret Service were included in the collection. 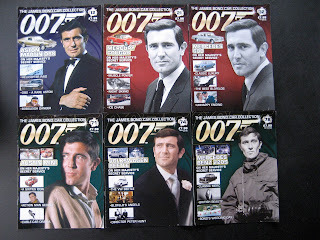 #12 Aston Martin DBS - Bond saving Tracy. #21 Mercury Cougar - Tracy and Bond escaping Irma Bunt. #32 Mercedes 600 - Irma Bunt and Blofeld after shooting Tracy. #71 Austin Mini - On the ice track during chase. #74 Volkswagen Beetle - Driven by Campbell. #78 Mercedes Benz 220S - Irma Bunt and henchmen following Bond and Tracy.